A new look at my match with Bumble. 2018 wasn’t a butterfly of a year for me personally. In all honesty, I felt like the ugliest caterpillar living in a semi-decent, but most ridiculous, uncomfortable, cocoon of a body. Better late than never. 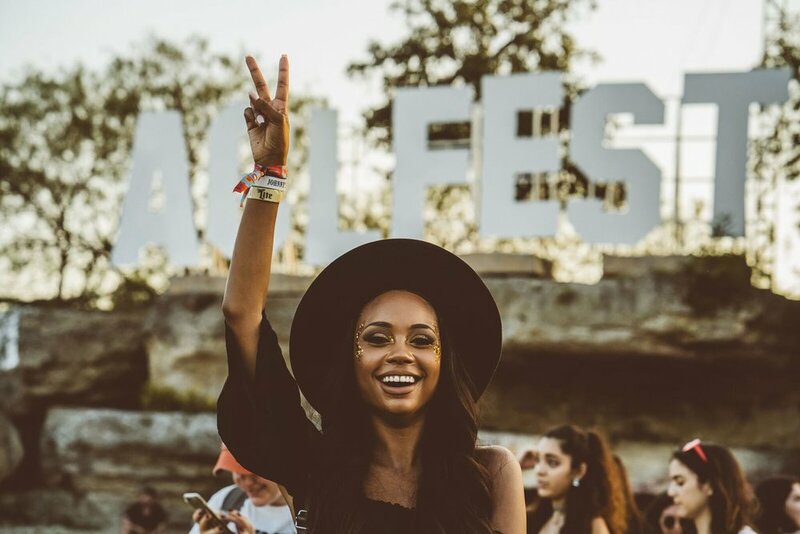 Yes, it is day two of weekend one of Austin City Limits Festival (ACL) and there are many more fun days to come with plenty of time left to prepare. This year I’ve updated my advice on what to wear, what to bring (both essentials and semi non-essentials), a few do’s and don’ts and my favorite photos from ACL 2017. And why you should sell, too! You've heard "out with the old & in with the new!" but cleaning out my closet is hardly getting rid of anything old, much less, out of date or out of fashion. I am, however, selling a few of my beloved items I haven't been able to wear or haven't found a second occasion to wear them. Austin City Limits is just one week away! This is my fifth... yes, fifth year attending ACL. I’ve compiled my must-have essentials, a few solid tips and my favorite photos over the last four years. Why matching separates for summer? You can be bold, fashionable and comfortable at the same time. You can mix & match, accessorize, dress them up or dress them down. Stylish, comfortable and affordable, the Brixton hat is my #1 staple to pair with any summer outfit. My big goal for 2017: get out of your comfort zone. So when I was asked to be in the 2017 Swimsuit Edition of Austin Fit Magazine, needless to say: mission accomplished. So you skipped the lines in store on Black Friday? Don't worry, you didn't miss out! Now I'm here to help you save some money on Cyber Monday. Shopping online is like a buying a car. Wait, no it's not. It's actually that feeling of walking into Sephora and you say "I'm just going to browse," but subconsciously know you'll be buying everything & emptying your wallet. You don't shop with the first person who greets you. You shop with the Glamazon who's winged liner is most on fleek, who compliments your highlight and somehow opens you up to a whole new conversation around the details of your weekend that you'd never thought you'd get into. And then what happens? You came in for one lipstick, you walk out with a new foundation, an eye shadow palette and the entire range of Kat Von D lipsticks. Why does this happen? Because you're always more open to buying from someone you trust & feel connected to. The best part of Miami is the beautiful weather, food and people. The worst part is getting there. On top of flying, my least favorite part of any trip is packing for it – but I did pick a few good outfits. Hillary, Bernie, Ted or Trump? None of the above. We're here to discuss Dom, Veuve, Moet and Mumm. You've never really experienced true love until you've experienced shoe love. What is brunch without a mimosa & fabulous outfit? A sad, basic breakfast. One of my most asked questions: do you apply false lashes every day?! The answer is yes! If you're wondering how I do it, then let me show you.